If you’re ever in New York (which includes nearly everyone on earth) and want to go one cocktail bar, make it PDT. Jim Meehan is a legend and in his case, the hype somehow understates his genius. I’ve made close to 95% of the cocktails from the PDT book but my favourites are always his creations. It was therefore no surprise that the best drink I’ve made from any Imbibe issue (#60) turned out to be one of his. The Green Thumb is revelational, to be honest. The perfect balance of vegetal and sweet. Totally incredible. Matcha (powdered, high quality green tea) is expensive so buy the smallest quantity possible at a bulk tea shop like David’s Teas. The rest of the ingredients are easy to come by. 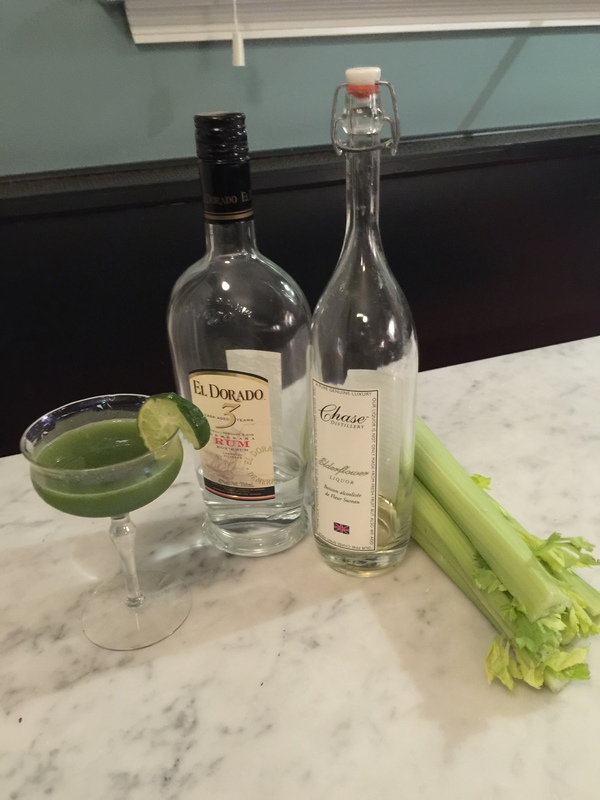 *Blend 2 stalks of celery in a Vitamix blender and then fine strain for 2 cocktails.